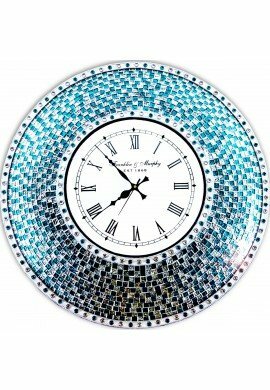 This sleek and dazzling silver and turquoise 22.5" mosaic patterned wall clock will brighten and accent any wall. 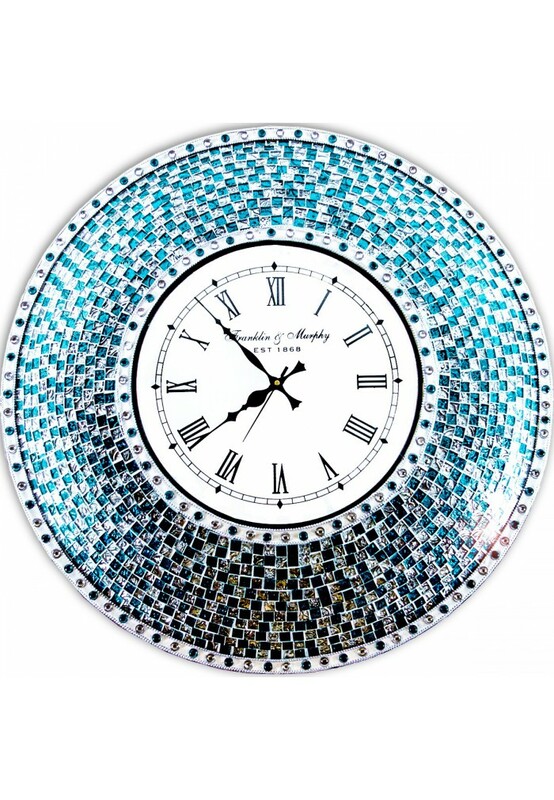 12" clock has white background and large black roman numerals. Features second hand. Batteries not included. 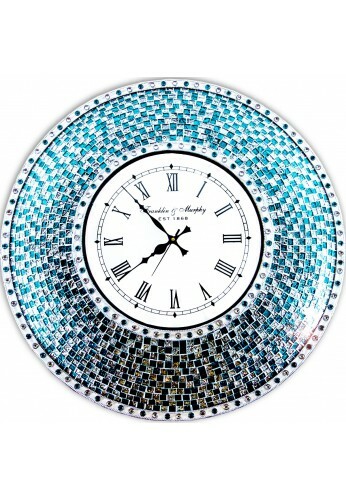 Height: 22.5" Clock Diameter: 12"
Beautiful. However, based on shape and perhaps the type of glass, hard to read from an angle due to glare from window. 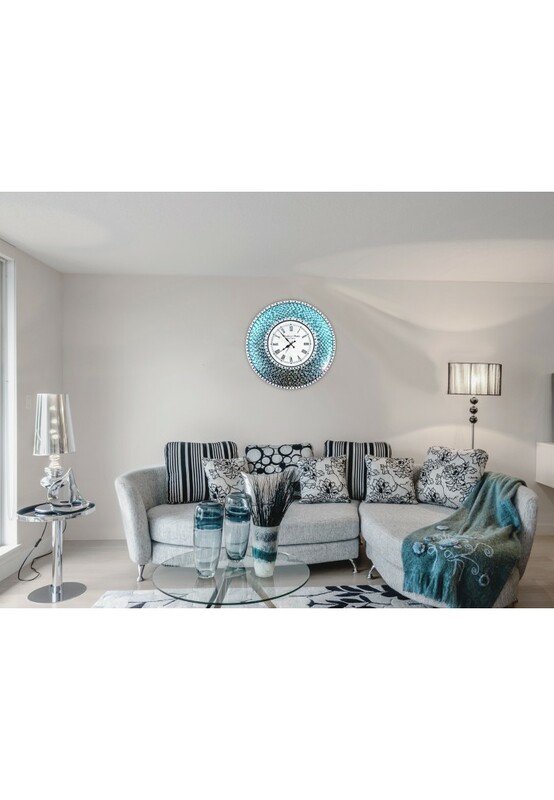 This is simply gorgeous wall clock. I just loved its color. Quality is also good. It's beautiful...however I expected it to be a bit smaller for my bathroom. 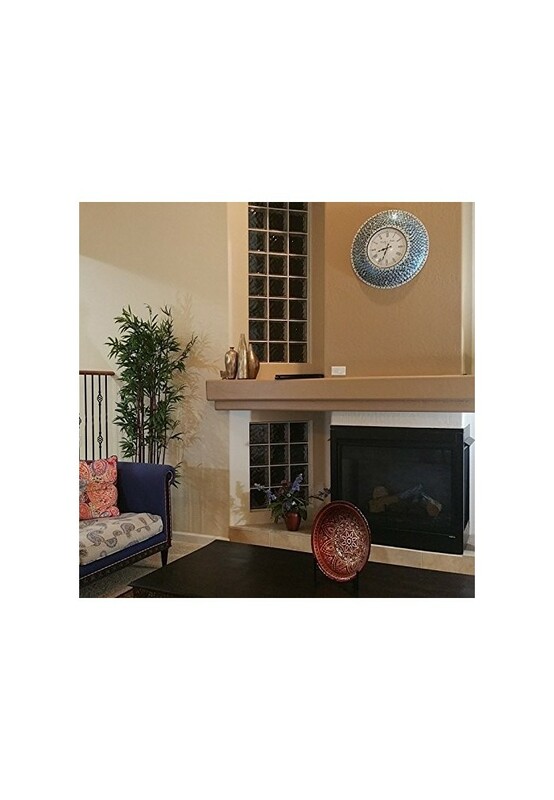 This would be a great clock for a large wall in a large room.